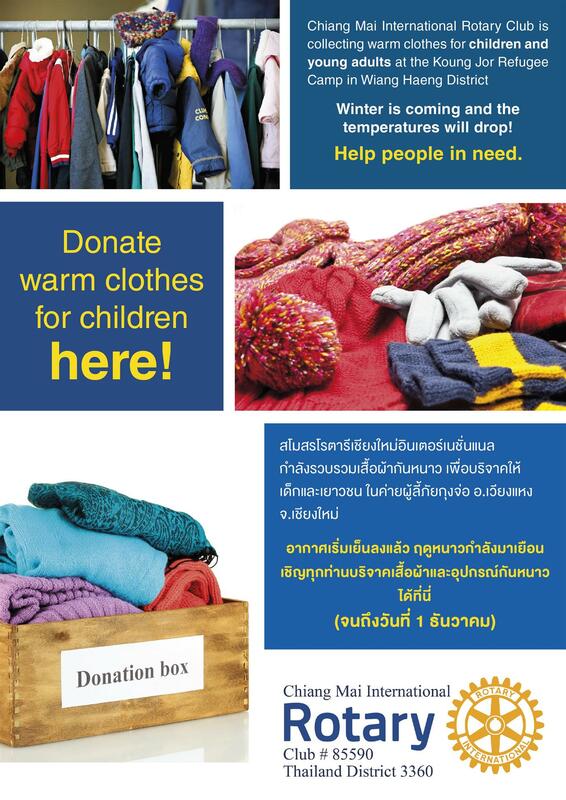 If you are returning back to Chiang Mai from overseas please consider bringing along some children's winter clothes. 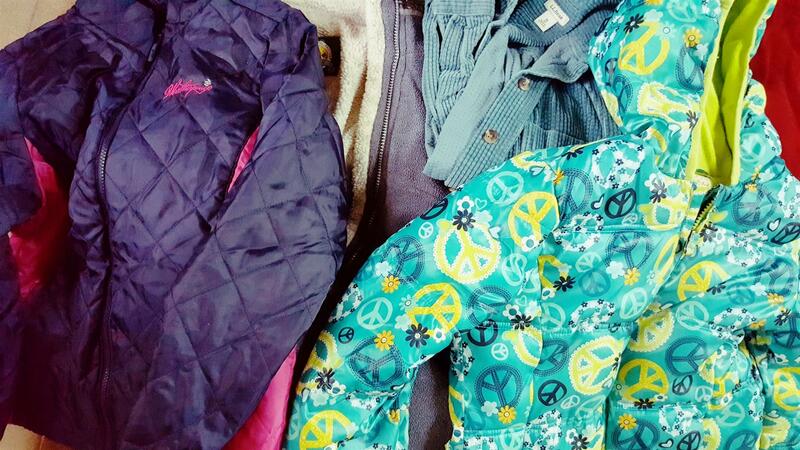 Pop into your nearest thrift store and buy fuzzy warm onesies, puffy jackets, sweaters, socks, and other warm clothing for small children. A special THANK YOU to Marty Knight who just brought our first donation from the United States and to Gary and Linda Soles who just arrived with our first donation from Canada! This year we are helping poor refugees at a Shan refugee camp in Wiang Haeng District. With the onset of a more peaceful Myanmar, many of these people have been forgotten. Contact shana@cmirotary.org for more information.